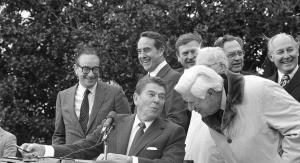 The fight to repeal or reform the WEP and its companion law, the Government Pension Offset (GPO), dates back to the early 1980s when both regressive laws were passed by Congress and approved by President Ronald Reagan as part of the landmark Social Security Reform Act. Ever since, retirees and employees from the effected states have lobbied to change the law. In order to be impacted by the WEP or GPO you must be retired and collecting a pension from a job that was not part of Social Security. Massachusetts public employees are not part of the Social Security system and, therefore, are impacted by the WEP and GPO as retirees. 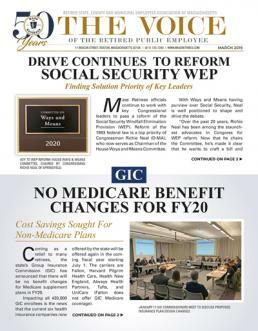 When news broke late last week that Congressional Leaders struck a bipartisan two-year budget deal, many retirees naturally hoped that the legislation also contained WEP reform. “Unfortunately, the budget deal just passed does not contain the WEP proposal or have anything to do with Social Security at all. We would have been very pleasantly surprised had our proposal been part of that deal,” said Legislative Director Shawn Duhamel, who is also the Mass Retirees federal liaison. “That deal focused on really large national issues, while also laying the ground work for further legislation yet to come. It is those future bills that we’re now focused on as a possible route for the passage of a WEP reform proposal in 2018. The budget deal follows the passage of the federal tax reform law in January, which had consumed much time and effort throughout most of 2017. As members are aware, the lead sponsor of the WEP Reform Proposal is House Ways and Means Chairman Kevin Brady (R-TX). Last year it was Brady and his Ways and Means Committee who were tasked with crafting the tax reform package for the House. Together with Massachusetts Congressman Richie Neal (D-Springfield), Brady continues to press for passage of a WEP Reform Proposal this year. Neal is the Committee’s ranking Democrat. House leaders intend to attach the proposal to a larger piece of legislation making its way through Congress. At times referred to as an “omnibus bill”, such legislation typically is considered must pass and contains multiple unrelated issues. However, under Senate rules this type of legislation requires 60 votes in order to pass. Massachusetts and Texas are two of seven states where the public workforce is outside of Social Security (Others include CA, CO, IL, LA, and OH). In Massachusetts, all public employees at the state and local levels are outside of the federal system and have been since Social Security’s creation in 1935. Nationwide, some 2 million public retirees and employees are impacted by the WEP law. If passed into law, the reform proposal would create an annual rebate in December for current Social Security eligible retirees (62 years of age with at least 40 Social Security quarters). The rebate would pay back a percentage of the amount lost to the WEP in that given year. In its first year, the rebate would likely be equal to 15-20% of the WEP’d amount for that year. The rebate would then grow each year to eventually be worth 50% of the WEP’d amount. Impacted retirees would then receive an annual rebate of 50% of the WEP’d amount each year forward. Under the proposal all future retirees would have their Social Security benefits calculated under a new formula that accurately calculates time paid into Social Security vs. time paid into a pension or retirement program outside of Social Security. As members know, Mass Retirees is a leading member of a national coalition aimed at reforming both the WEP and GPO. The coalition is comprised of retiree organizations and unions from states impacted with the WEP and GPO laws. The GPO or Government Pension Offset law impacts spousal Social Security benefits. While a key concern of our Association, it is not addressed in the current WEP Reform Proposal. Republican Congressional Leaders insist on addressing WEP and GPO as two separate issues in different pieces of legislation.